Cary Grant was one of the most marvelous men I’ve ever met. At the Golden Globe award ceremony March 4, 1955. Jan Sterling wins for “The High and the Mighty”. Karen Sharpe wins for Hollywood Star of Tomorrow. 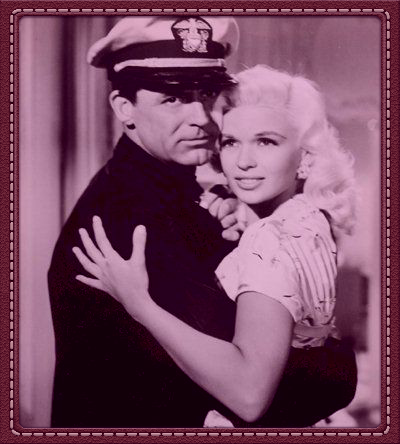 Jayne Mansfield presents award to Edmund O’Brien. Susan Haywood presents award to Gregory Peck for World’s Most Popular Actor. Rock Hudson presents awards to Judy Garland for Best Musical Actress in “A Star is Born”. Jayne in 1957 when she won her Golden Globe. She looks absolutely radiant here! And last but not least Jayne and Mickey Rooney in a full clip from 1960.